Klein: "We look at materials - what's right, what's smart, what makes the most sense and what delivers the most value to the customer." 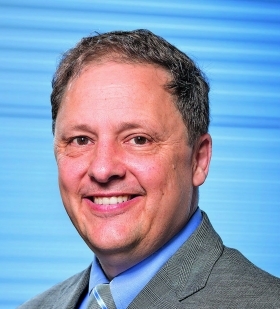 DETROIT -- Charlie Klein, General Motors' executive director of global CO2 strategy and energy center engineering, is the company's lightweighting czar. As part of GM's mixed-materials strategy of using advanced high-strength steel, sheet aluminum, cast aluminum and extrusions to build vehicle bodies, Klein is seeing to it that the right materials are used in the right places and in the proper amounts. He spoke with Staff Reporter Richard Truett at GM's tech center in Warren, Michigan. Q: You've said that the Cadillac CT6's mixed-material body required 50 million hours of computer-aided engineering to get the structure right. Didn't that drive up development costs and wipe out any manufacturing savings? A: We have about 140 engineers committed to CAE development, largely centered on structure. To run these iterations is highly automated. We are able to run solutions largely automatically. Is there a cost for the computation power? Absolutely. We could never get to these solutions without it. You don't have enough men, women and children that could get you there to do this. How does investing so much relying on computer-aided engineering affect development times? In some ways it's faster. I'll give you a good example: If your load paths are designed well and efficiently, it doesn't just yield more efficient solutions, but when you do your physical tests, you get better results. You don't have as much rework and re-engineering, which can also delay a program. The current analysis that we do fits inside our vehicle development process. In some ways it prevents you from future remediation. It has a tremendous amount of value. When developing vehicles with mixed materials, is GM starting with the heaviest first? It's a methodology that has applications and benefits everywhere. When we began this multiple dimensional optimization strategy, we applied it on a couple of programs first for learning. Now it has become very institutionalized. Some automakers have set goals to lead in fuel economy or performance, etc. Has GM set an internal goal of wanting to produce the lightest vehicles? It's really based on customer needs. We want to look at each segment and deliver what the customer interests are. In segments for the Malibu and Cruze, fuel efficiency is an attribute, but it is not the only important attribute. In the Malibu, the concerns we heard were on physical space in the car, the noise and vibration in the car, fuel efficiency. What's guiding GM's lightweighting strategy? We look at materials -- what's right, what's smart, what makes the most sense and what delivers the most value to the customer. A 10-pound difference is immaterial, but you'll know a 300-pound difference. You can feel a car that is light. It makes a three-cylinder engine feel great. Braking feels better. It just has this feel, it's a joy.